From the makers of the critically acclaimed Dungeons of Dregmor, Gaslamp Games has announced the arrival on Steam Early Access of their incredibly strange and wonderful catastrophe simulator, Clockwork Empires, on August 15th for $29.99. Clockwork Empires, filled to the brim with the most wondrous advancements in Sciences and Explorations, takes players into an alternate, bygone dystopia where they are tasked with managing an ever-growing and ultimately doomed Steampunk-laden colony filled with diverse and sometimes secretive colonists whose ambitions, greed and foppishness know no bounds. As a colonist, players can seek out fame and promotion, build magnificent factories and Delightful Structures, scientific laboratories, lavishly decorated houses, farms, pubs and more all in the name of the Empire. But be careful – every character in your society has their own personality, motivation, and oftentimes deadly secrets. Clockwork Empires encourages players to link together the mighty gears of ominous colonial mega-projects either via single-player, a multiplayer mode with up to four players, or via a ’round robin’ successive multiplayer saved-game file option. The Early Access version of the game will be updated monthly so that players who jump in early can play through various iterations of the game in development and assist in guiding the hand of the Empire to what works and what gets marked for Frontier Justice. Build a colony and your character, each with a unique back story: The colony is set in a Victorian steampunk era and is populated by lower, middle and upper class characters that have their own memories and unfolding futures which are shaped by the player’s choices. Free-form goals: Every scenario is what the player makes of it. As the player colonizes an unknown land, objectives are handed down by “The Empire,” but players may choose to align with another faction – or none at all – if so they desire. Cosmic Horror, Factories, Booze, Science, Farming, and more: Complete with all the elements for an industrial revolution, a colonial society pushed too far will begin to break down and unleash horrors such as cultists, marauding fish-people, axe murders, and things darker still from beyond the stars. 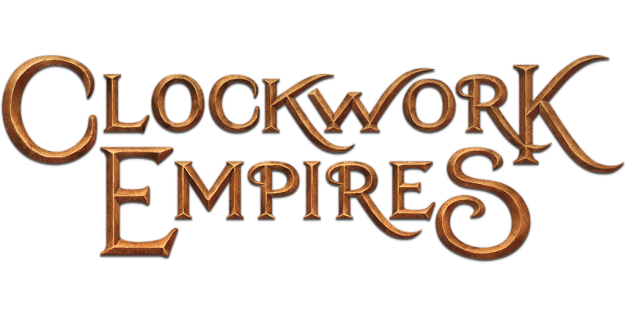 To learn more about Clockwork Empires, head over to www.clockworkempires.com.